The Glorious Mysteries of the Rosary are prayed on Wednesday and Sunday. Jesus rises from the dead on the third day. 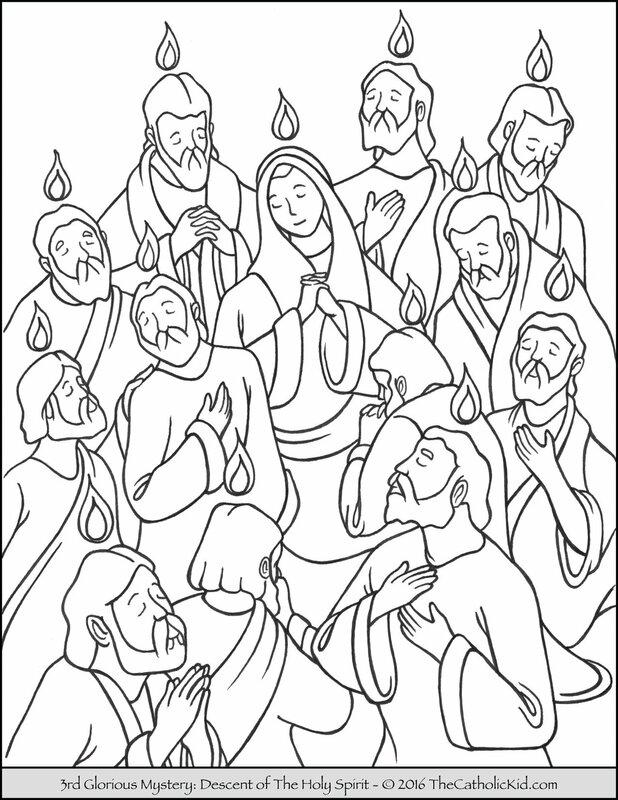 The Holy Spirit descends onto the Apostles and Mary on Pentecost as tongues of fire. 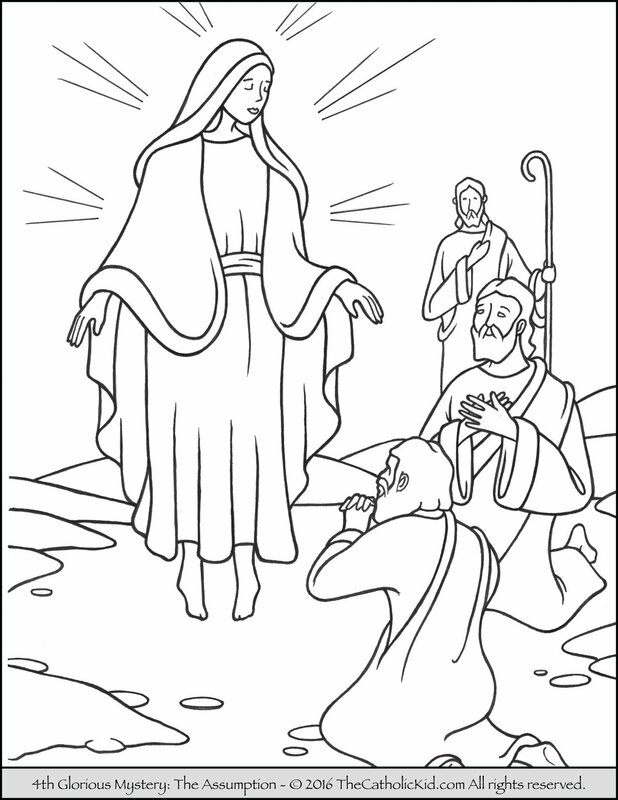 Mary is taken up into heaven (body and spirit). 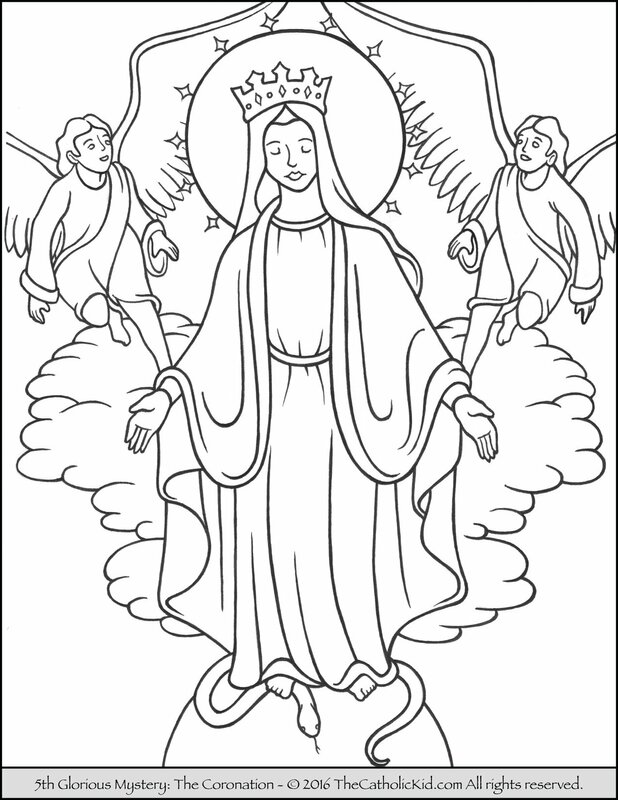 Mary is crowned queen of heaven and earth. I just want to make sure that it is okay that we print and use these pictures. 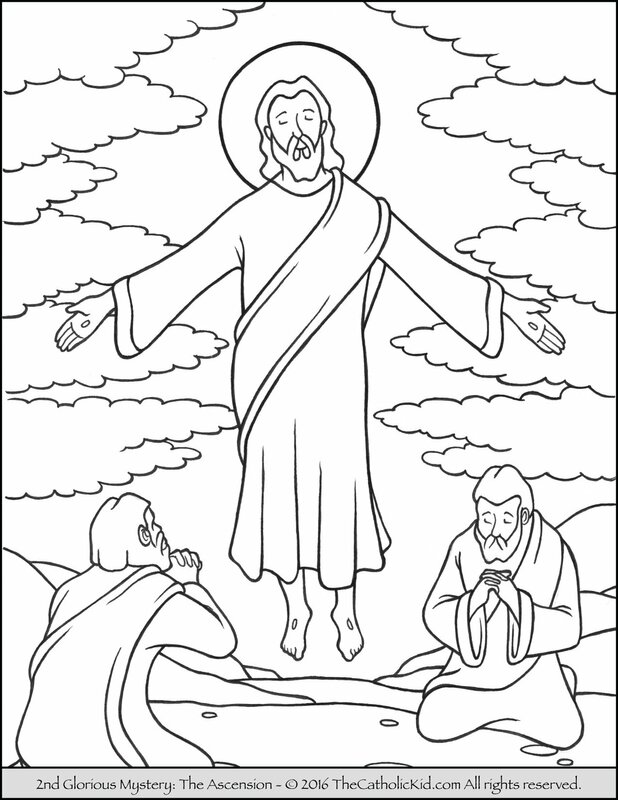 In my 11th grade classes, we are making a rosary meditation booklet for our “4th Grade Buddies.” We decided it would be great to have a picture they can color for each mystery. Do I have permission for them to copy and print them for their little buddies? Thank you! These are perfect for display in the hallway of our Catholic elementary school. Thank you! Thank you so much for making these drawings available. 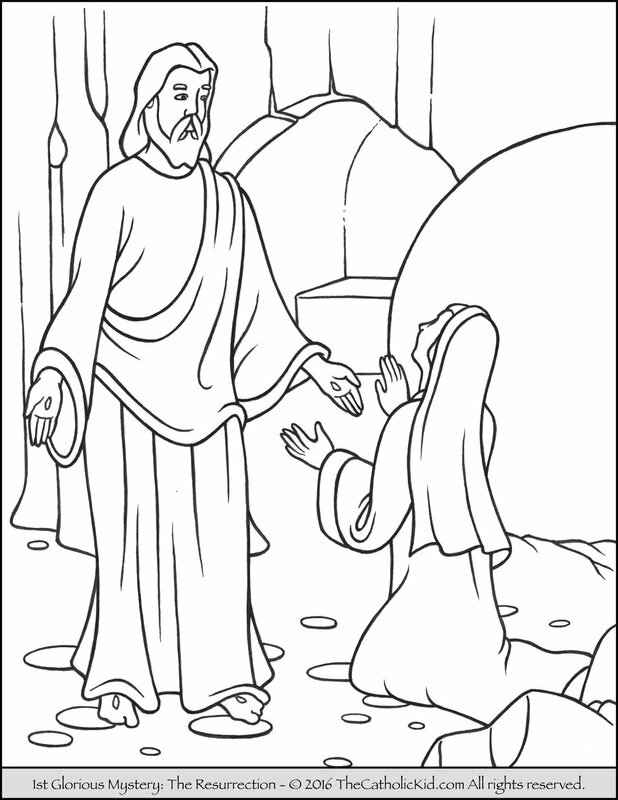 We are using these images for our big balloon rosary. Our older RE classes are leading the rosary made up of balloons and inviting the whole parish to pray with them. We will keep you in our prayers. You’re so welcome Steph! Would love to see a picture of the balloon rosary once it’s complete. Sounds like a great idea!